The Pen F was originally an interchangeable film camera that used the half frame format (18x24mm). It was a vertical format meaning you could capture two portrait oriented images in a single frame of 35mm film and as a result double the number of images on a single roll. Olympus produced three models between 1963 and 1970 along with 18 lenses. When the first digital Pen (E-P1) came out in 2009, it lacked a built-in viewfinder and since then, only an external EVF option has been made available. 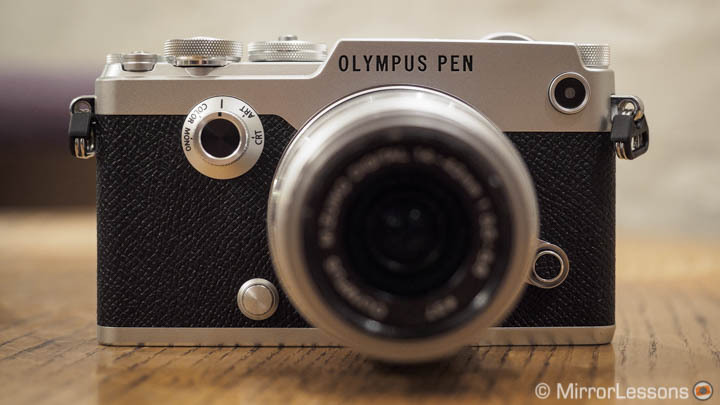 Recently photographers have been asking for a Pen model that incorporates an EVF, an addition that would effectively put it on the same level as the OM-D series. 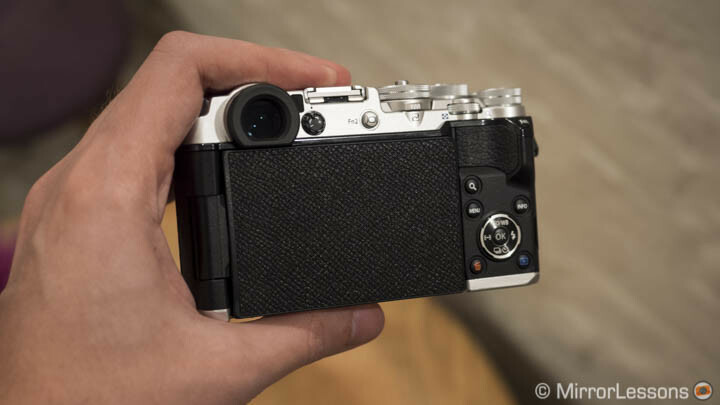 This kind of feedback, as well as the success of other cameras such as the Lumix GX7, GX8 and Fujifilm X-E series, probably convinced Olympus that it was time to release a version that would meet all these requirements. We could summarise the key features of the Olympus Pen F as follows: it has a built-in EVF positioned on the left (like the original Pen F) and a new sensor which is the same Sony 20MP chip found inside the Lumix GX8. But there are two other important aspects to highlight. 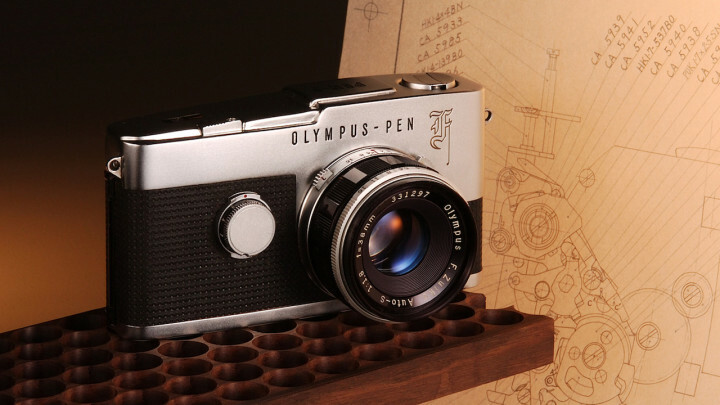 The new Pen F is both a tribute to 80 years of camera history and the most advanced Pen camera to date. From a purely aesthetic point of view, I think that the silver version is a little gem. The black version is less attractive in my opinion. 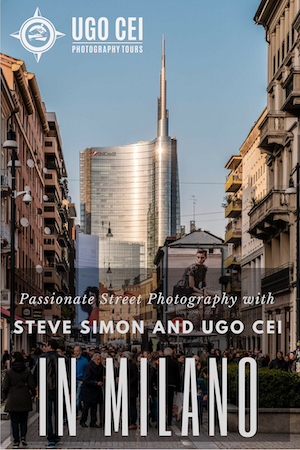 The silver finish really makes a difference here, perhaps more than any other Olympus digital product. The camera body feels very robust. The bottom plate and the various dials are made of aluminium while the top and front are made of magnesium. An interesting characteristic of the camera is that there isn’t a single screw visible, not even on the bottom of the camera. However, the body is not weather-sealed. A beautiful camera is a nice thing but how does it feel in the hand? I only had the chance to see it at the press event so while my first impressions are positive, I admit that my feedback is limited. I found it more comfortable than other Pen camera (the E-PL7 and E-P5 included) mainly because of the re-designed thumb grip on the rear. It is slightly heavier however. The Pen F features lots of dials and buttons and that can be somewhat overwhelming at first especially for someone who is not familiar with Olympus cameras. 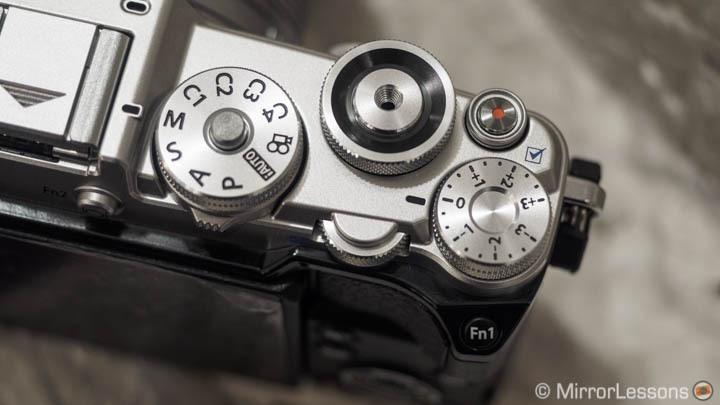 On the front we can notice a function button near the lens mount but the most interesting addition is the Creative dial inspired by the shutter speed dial on the original Pen F film camera. the Color Profile Control allows you to change the saturation level (+-5 steps) with 12 different colours. 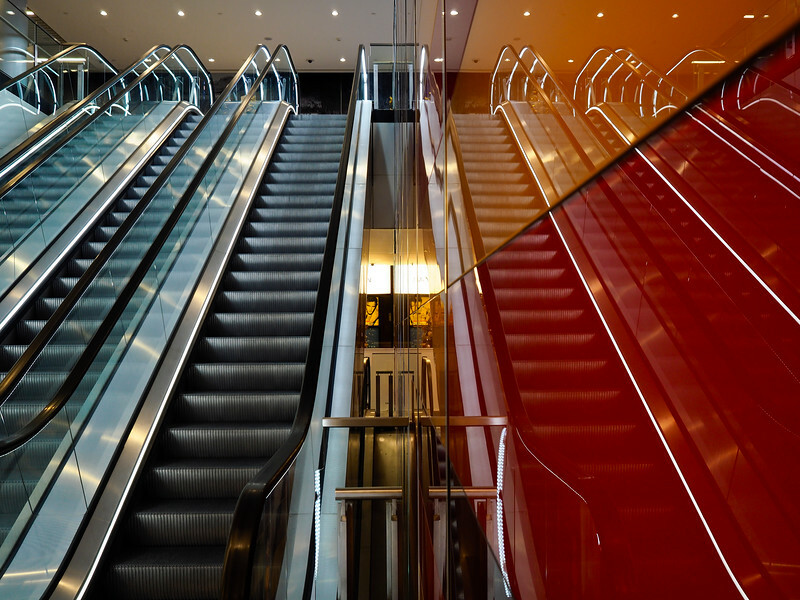 the Monochrome Profile control allows you to choose 8 filters (Red, Orange, Yellow, Yellow-green, Green, Cyan, Blue, Magenta) with 3 levels of intensity. Concerning the Monochrome Profile, additional options are also available. You can choose three levels of grain and colour tone (Sepia, Blue, Purple and Green). For both colour and monochrome modes, you can program 3 presets with your favourite settings. Once you select the Profile Control you want with the front dial, you can use the two main dials on top to quickly adjust the colours and tones with the help of the dedicated graphic on the LCD or EVF. The lever on the rear (under the Shooting Mode dial) can help you switch between the different modes available for each Creative mode. From both a design and “ease of use” perspective, this new front dial is an excellent idea. However if the user is not interested in these Creative profiles, the dial can rapidly become a useless decoration and nothing more. I wonder if integrating an ISO dial instead (or perhaps even the original shutter speed dial) might have been a better idea. To pass final judgement, however, we need to try these new Creative profiles in-depth to see how effective they are and how spontaneously one might use them on a daily basis. I can imagine that once you save your favourite presets, the process of selection becomes much quicker and for someone who likes to switch between colour and black & white, it can be a handy feature. 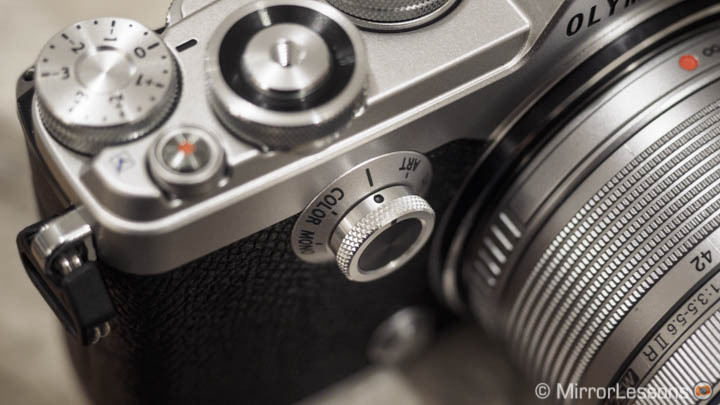 On top of the camera we see another welcome addition: the exposure compensation dial. 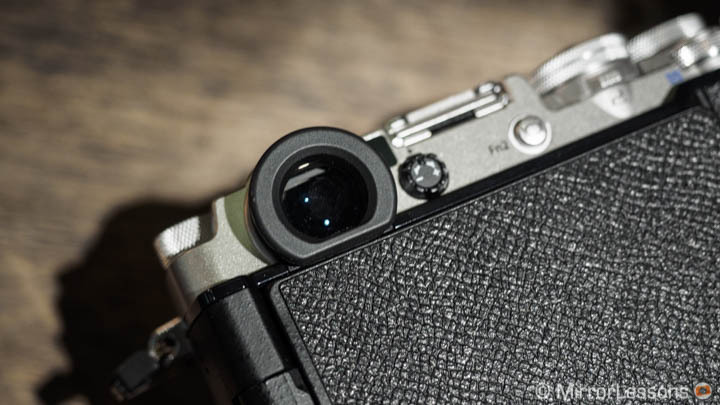 I use it a lot on other cameras (Fuji X and Sony A7 series) and I’m glad to see it on the new Pen F. Given the design of the camera, a proper shutter speed dial could have been a perfect addition as well. 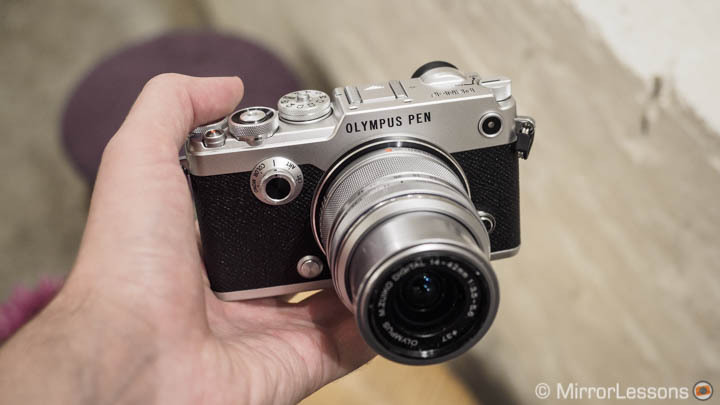 However I can understand why Olympus decided to keep a similar interface to the one found on other Pen and OM-D products. They probably did not wish to copy the competition either (Fujifilm in particular). The shutter release button is threaded. 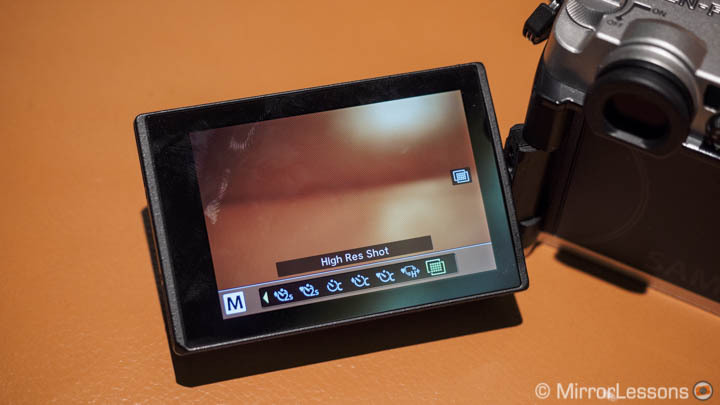 The Shooting Mode dial has a lock/unlock button and four Custom settings (C1 to C4) that refer to the My Mode function (Myset on other Olympus cameras). You can save 4 different shooting settings and access them directly from the Mode dial instead of an Fn button. One of the two exposure dials has a threaded shutter release button at the centre. This means you can screw a soft release button such onto it. There a movie record button whose function can be customised and a nice vintage switch dial to turn the camera on and off. The nice On/Off switch shows the attention to details. You can really see that every little detail has been carefully designed. On the rear the first thing you will notice is that the LCD screen is a multi-angle type like that of the OM-D E-M5 II. 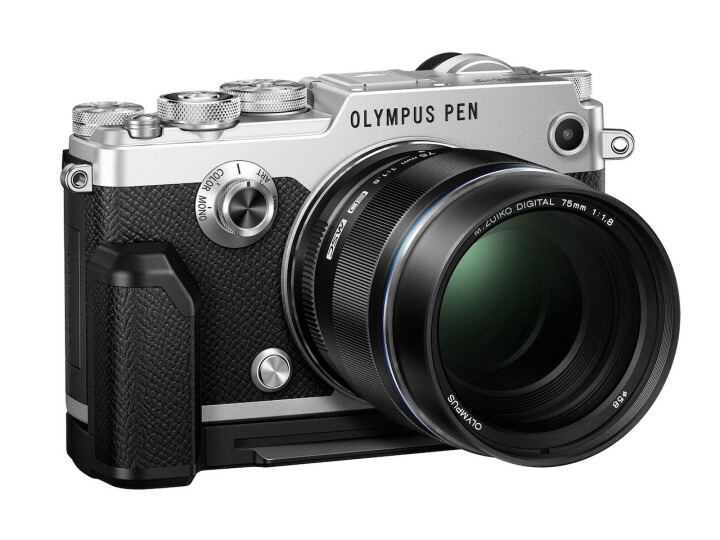 Olympus decided to go for this solution because the Pen F has the same video capabilities as the E-M5 mark II. They therefore wanted to make the product more suitable for video shooting as well. 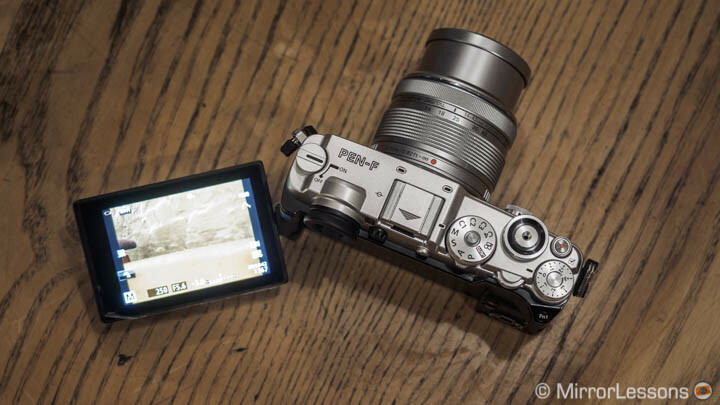 Personally speaking, I would have preferred a tilting screen like that of the E-M10 II and E-M1. Despite the specifications, this camera strikes me as a stills camera first, so the tilting mechanism would have been enough. 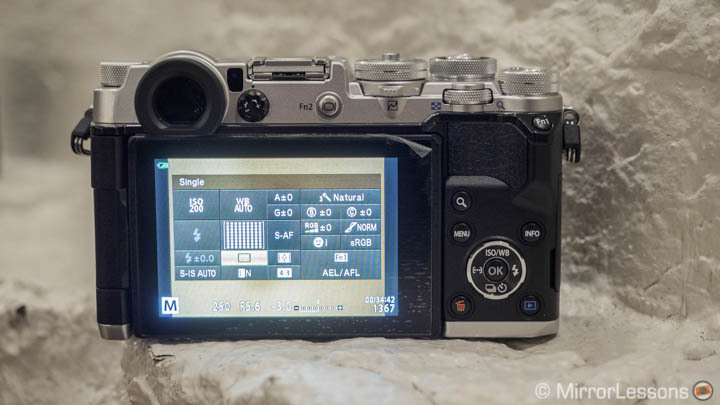 The LCD is touch sensitive and has the same AF Targeting Pad option as the E-M10 II. We can notice the usual button layout (arrow pad, playback button, etc.) on the rear. There are two Function buttons (one on top of the thumb grip) and a magnification button. On top there is a smaller dial that can be used for exposure (shutter speed or aperture). The horizontal lever under the main shooting mode dial can be used to vary highlights/shadows, as well as change options with the Creative controls. The latter is the only thing I didn’t really like as I found my finger accidentally touching it when turning the mode dial. A final word about the EVF. It has the same characteristics as the E-M10 mark II (1.23x magnification) and I found the overall performance to be the same. I admit I find it small compared to the one found on the E-M5 II. Focus peaking and magnification are present and the S-OVF mode is available too. 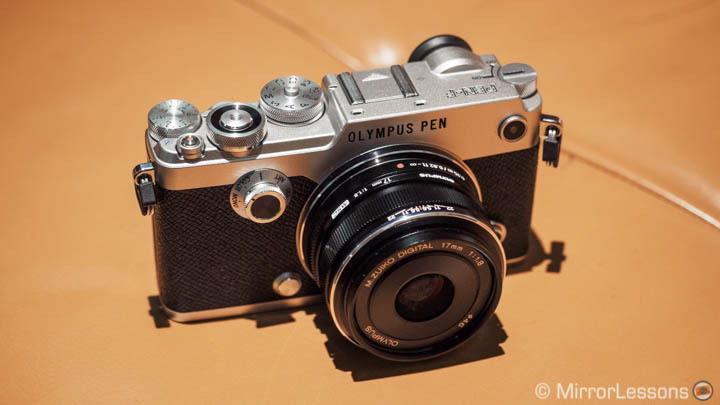 The Olympus Pen F becomes the second Micro Four Thirds camera to sport a 20MP sensor. It lacks a low pass filter and the ISO range remains the same (200 to 25600) while the extended pull value now reaches 80 ISO. We weren’t allowed to take pictures with the camera at the press event since they had pre-production models only. We hope to get a full working sample very soon. 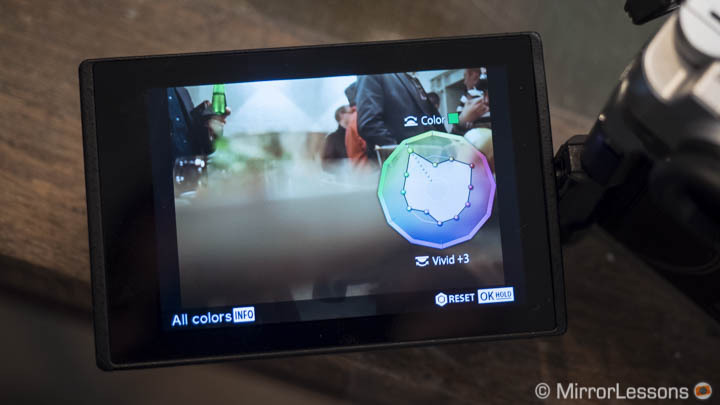 Olympus told us that they were waiting for a new sensor with enough dynamic range and low light capabilities before upgrading from the 16MP chip. I suspect Panasonic had a similar reasoning with the GX8 (20MP as well). Personally I don’t expect to see substantial improvements with the new sensor except the obvious 1/5 increase in resolution. We compared the image quality of the Panasonic GX8 to the OM-D E-M1 and the difference was minimal. I am more curious to see if Olympus made some improvements to the image processor engine (still the TruePic VII) which also plays an important role in the final output (and is one of the most expensive parts of the process). Of course we will also do a full comparison with the GX8. 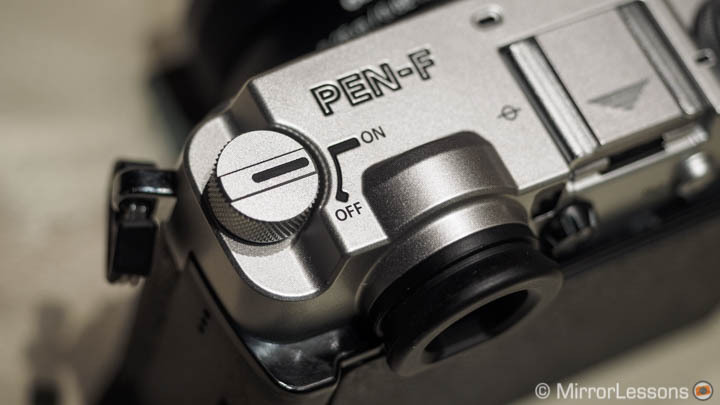 The Pen F features the same High Res Shot mode of the E-M5 II but with more resolution. Like the E-M5 II, the Pen F can take High Res Shots: thanks to the sensor shift technology, the sensor rapidly shifts to 8 different positions between each shot. The camera then merges the 8 shots into one image (50MP for JPGs and 80MP for RAW). This technology is limited to tripod use as any movement will result in aberrations but can be very interesting for landscapes /cityscapes (as long as nothing is moving in the frame) and still life. Of course if it didn’t feature 5-axis stabilisation, it wouldn’t be a true Olympus camera! 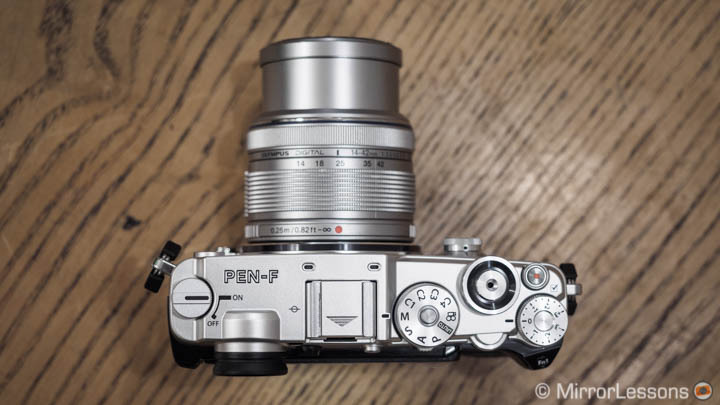 The Pen F has the same technology found inside the E-M5 mark II which means the best 5-axis stabilisation currently on the market (5 Ev of compensation). With the E-M5 II, I managed to get sharp results even at 2s hand held (see our review here). I’ll be curious to see if Olympus made some improvements in video mode as well. Concerning the performance, the autofocus is based on contrast detection and has 81 AF zones (like the E-PL7 and most OM-D cameras). The continuous speed goes up to 10fps in Single-AF and 5fps in Continuous AF and Tracking. With the electronic shutter you can shoot at 20fps (slower shutter speed is limited to 1/25s). There is face and eye detection. A nice addition is the possibility to link the AF spot metering to the AF target. 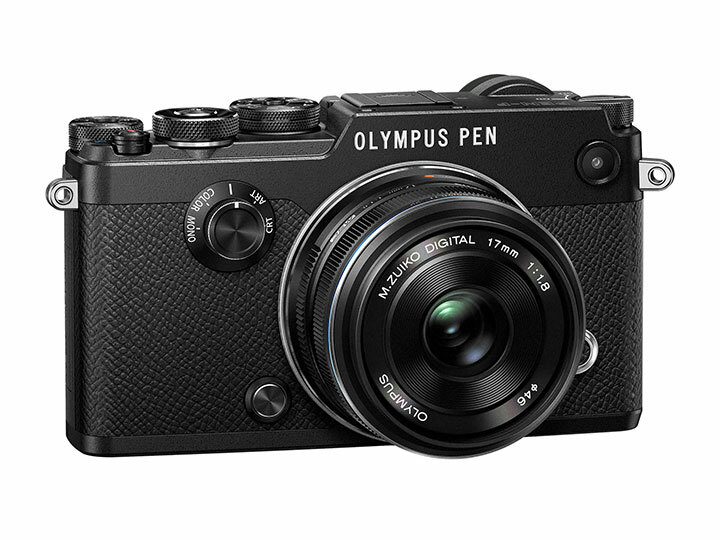 Olympus states that according to their in-house tests, the Pen F has the shortest release time lag among interchangeable lens cameras (including SLRs). From my hands-on at the press event it is hard to confirm this, even though I noticed that the lag time was minimal. A proper test in a sport/action environment would definitely be interesting with this camera. We find the same videos specs of the E-M5 II. 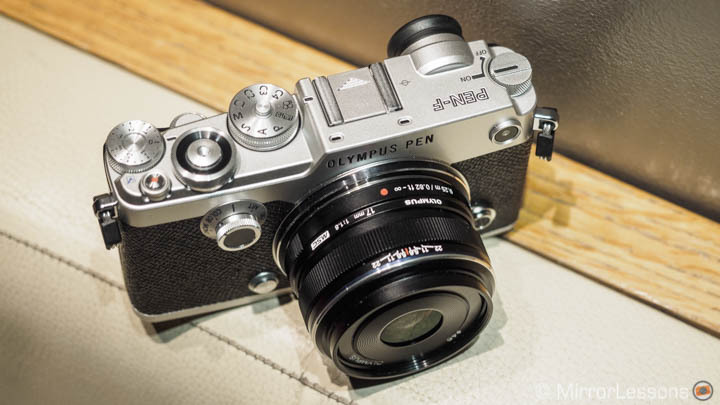 Talking about video specs, the Pen F inherits the same capabilities as the E-M5 II. 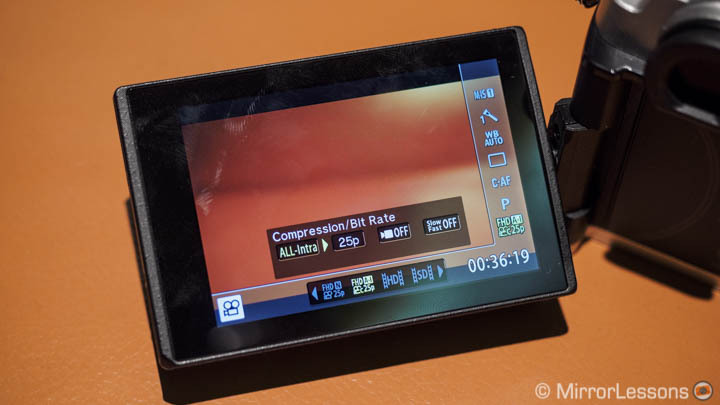 You can shoot Full HD with the All-Intra codec up to 30fps or 60fps with Super Fine quality. It will be interesting to see if some improvements have been made to aliasing and moiré, both of which were quite present on the E-M5 II. The other features will be familiar to OM-D shooters. We get the first electronic curtain (Anti-Shock 0s) and electronic shutter option (silent mode and 1/16000s). 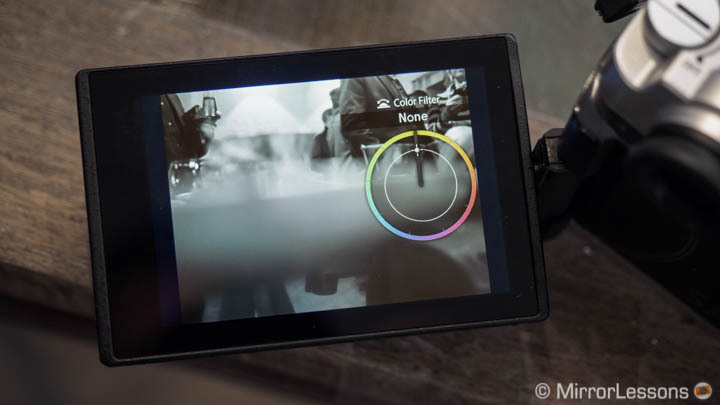 The Pen F has Live Time and Live composite, various Bracketing modes including Focus Bracketing (but not Focus Stacking), Multiple Exposure, 4K Time-lapse and Wi-Fi capabilities. The camera uses the same BLN-1 battery as the OM-D E-M1, E-M5 and Pen E-P5. The lifespan is set at 330 shots according to the official specs. Note: you can check out a gallery of full res image samples taken by Visionary R-Cleveland Aaron on our Curation website. Click on the image below. 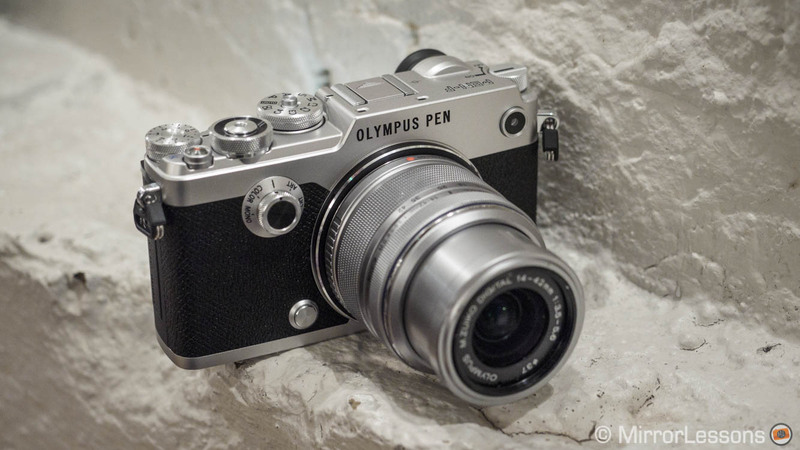 With all its cameras, Olympus tries to perfect the mix between a vintage/retro design and advanced functionalities. The Pen F might be their best achievement to date. Think about the OM-D E-M5 mark II and you have a pretty good idea about how powerful this new camera will be. The cherry on top is a new sensor that provides some extra resolution in normal and High Res Shot modes. 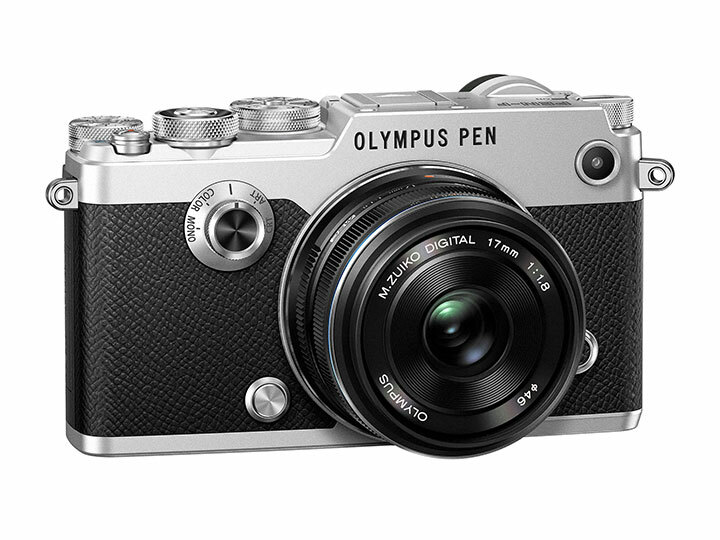 The beautiful design shows how Olympus has become very good at implementing handsome aesthetics (the Pen E-P5, E-PL7, E-M5 II and E-M10 II are all really beautiful products too). It is also a welcome step forward for the Pen series. The company plans to give the camera a long lifespan with relevant firmware updates, something they already started doing with the E-M1 and E-M5 mark II. The Olympus Pen F doesn’t substitute the E-P5 or E-PL7 but rather opens up a new segment on top of them. The Pen F will be available for $1199, €1199, £999 (body only) and with the 17mm f/1.8 (black) as the primary kit lens for €1499, £1199. A second kit with the 14-40mm EZ lens will also be available for €1399, £1099. The camera will ship at the end of February. Olympus will also release special accessories designed for the camera: a leather strap (CSS-S120L), leather wrapping cloth (CS-48PR), half case (CS-47B), leather camera bag (CBG-11PR) and metal L-grip (ECG-4) compatible with Arca swiss tripods.